Telenor Connexion today issued an IoT report guiding companies through the digital transformation. Northstream, one of Sweden’s leading technology consulting firms, today issued the report “From product to a connected product-as-a-service”. Commissioned by Telenor Connexion, a leading provider of IoT solutions, the report guides companies on the journey from product to a connected product-as-a-service business model. The report provides insights on key strategic questions such as: What are the main benefits to the company and its customers? What are the key considerations and challenges in the process? What are the best practices to ensure a successful transformation? “IoT is high on the agenda for many enterprises and there is little doubt that the impact and potential are tremendous. The initial business case for connecting products is usually focused on realizing cost savings, for example, by optimizing service and maintenance. Nevertheless, for many enterprises, there is an even larger opportunity that lies in creating new business models to increase revenues, improve the value proposition and build deeper customer relationships”, said Bengt Nordström, CEO at Northstream. One such way to redefine the business model is to turn a traditional product into a connected product-as-a-service. However, going from a product to a product-as-a-service is not always easily done. “Transforming a company’s business model from a traditional product into an IoT enabled product-as-a-service can be challenging from an organizational perspective. 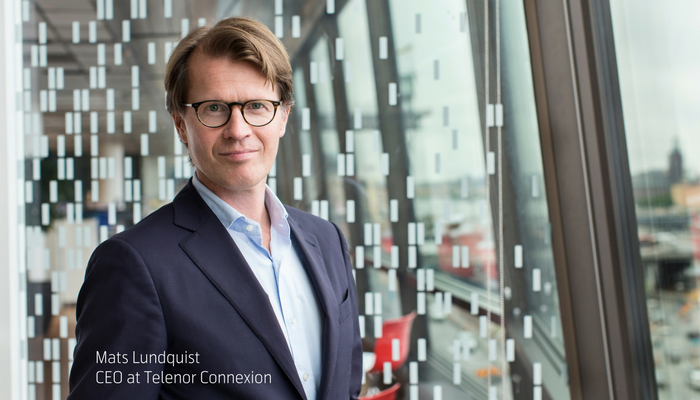 It requires a shift in mindset and impacts strategy, processes, people and technology”, said Mats Lundquist, CEO at Telenor Connexion. “When in contact with customers and through research, we have seen that the biggest barrier to a company’s digital transformation is lack of knowledge. Therefore, we have issued this white paper including our established step-by-step method that will guide companies through the whole process”, Lundquist concludes.